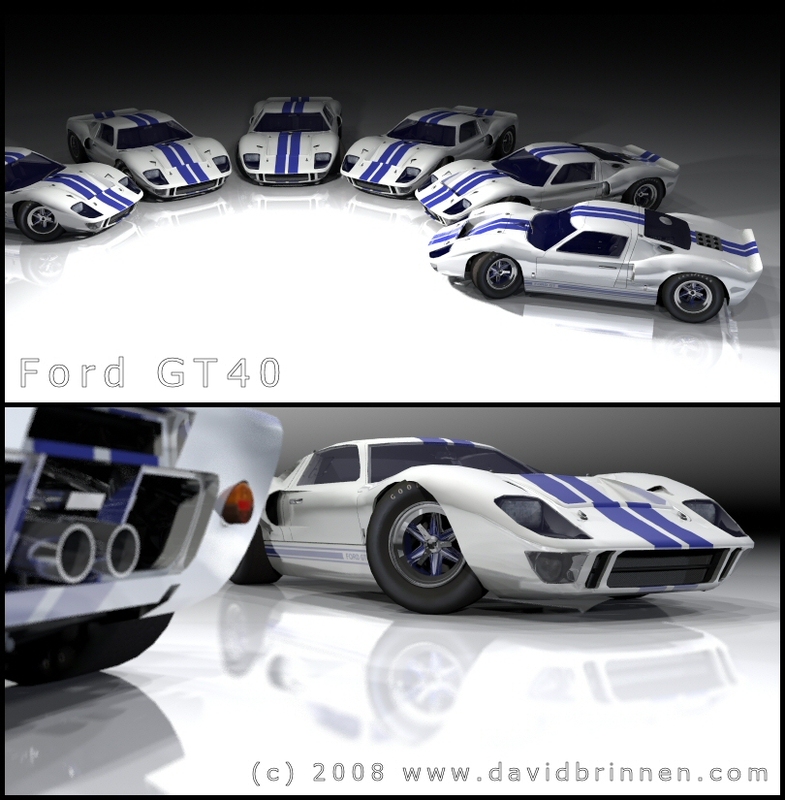 Description: Easter bank holiday, I should be doing my DIY... but instead... here's a couple of renders, designed to be kinda sympatheic mostly monochrome affairs like something say, out of a car mag. They both use Horo's bluegreymoon.hdr for light. Soft shadows and DOF additionally for the bottom image. The top image uses nearly 100% black haze, which has been cut into with very bright IBL and a single bright (999) light source in the middle of the arc, this is to give a high contrast and sudden fade to black. 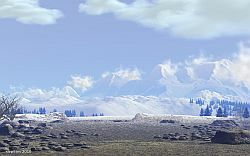 The images were composited in PSP8. I like the fast fall off of light in the upper picture. Due to the lack of some size clue, those cars look like models. This is less of an issue for the lower one, which I like much better, mostly because of the camera angle. DoF works excellent here - subtle. There is some shadow banding visible but it is not very obvious, because the eye is attracted to the blurry reflection. Hmm, I think that this render is great and lighting is too, but this is all that bryce render engine can do, but then again if you use a renderer that does all the work for you it kind of takes away from the artist, ofcourse that can be argued in different ways.